Heat oven to 350°F. Grease 12-inch pizza pan with shortening, or spray with cooking spray. In pan, break up cookie dough into pieces and press out dough evenly in bottom of pan to form crust. Bake 12 to 17 minutes or until light golden brown. 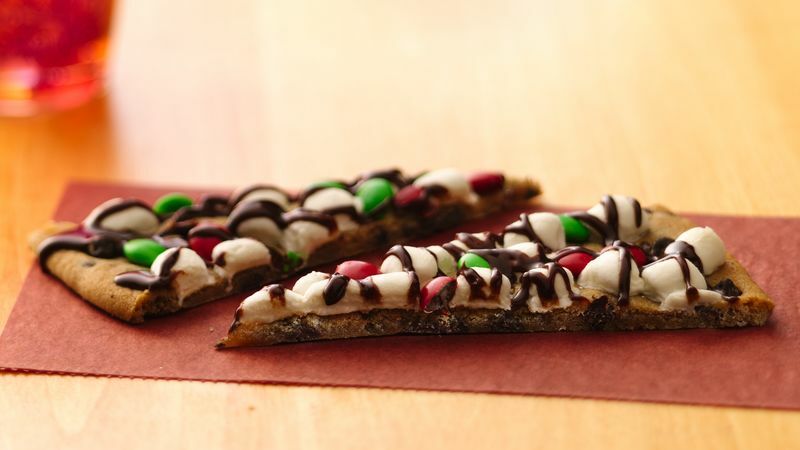 Sprinkle marshmallows and candies evenly over crust. Bake 2 to 3 minutes longer or until marshmallows are puffed. Drizzle hot fudge topping over top. Cool completely, about 1 hour. Cut into wedges to serve.